We will start processing your order immediately. As long as the goods are in stock, they will be packed up carefully and sent within 1-2 working days. Once we have received your order, it’s not possible to change or cancel it. If you have made a mistake with your shipping address, it’s not always possible to change it but please contact us immediately to see what we can do. Yes. Please allow 1-2 working days to process your shipment after payment. Packages will be shipped by Express Mail Service. We can’t guarantee exact delivery times due to unexpected delays that could occur with customs, etc. Please contact us at info@preghiero.com for further information. As we are using JNE as our primary courier for shipment within Indonesia, please kindly allow 1-2 working days to process your shipment after payment. Arrival of goods will usually take about 2-5 working days, depending on your location. Certain town might take longer. We provide overnight expedited delivery upon request. We will pass to you the tracking number via a text message or email. We will not be responsible for any damage done to the goods during shipment. We provide an automated shipping cost calculation on our checkout page. Please fill your complete address and the system will calculate the shipping cost for you. Please make sure to fill the complete address with postal code (you can find your postal code using Google). Preghiero is known for its consistency in quality control. We really apologize should you find any factory flaws. Please send us an email with the pictures of the issue and some brief explanation to info@preghiero.com. Please also mention the best way to get in touch with you and we will get back to you as soon as possible. We can only accept your return if the goods are unused and in its original condition. Products found to be defective will be repaired or replaced free of charge if consulted with us within 3 days after the products arrive. 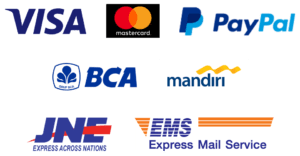 For transactions originating from Indonesia, we accept payment through regular bank transfer and any Indonesian Credit Card. For international transactions, we accept credit cards processed by PayPal. IS BUYING ONLINE FROM YOUR SITE SAFE? Yes, buying from us is safe. We will not sell your information, and any personal information will only be used to fulfill your order. If you opt-in for any marketing promotion, it will only be used to send Preghiero related promotions and you can unsubscribe at any time. Preghiero always designs a piece of art that is long lasting and timeless. Trends of fashion are running fast and you as the proud owner of Preghiero will not be affected by trends. You are timeless. So we try our best to create some classic colours that will keep you company for years to come. DO YOU MAKE WALLET WITH COIN POCKETS? Our designers believe that coins shouldn’t be carried in your wallet. They add significant bulk, stretch the leather, and increase the chance of breaking your cards. We suggest you to put coins in the coin pocket of your jeans, in your car, or save it in your piggy bank for our next collection. IS PREGHIERO WALLET THE SLIMMEST? We believe that our wallet is the slimmest ever invented in its class, which is full size genuine leather wallet. It can perfectly fit 15-25 bills without folding them, and incredibly fit 10-15 cards or more if they’re business cards.